Thank you for your patience! 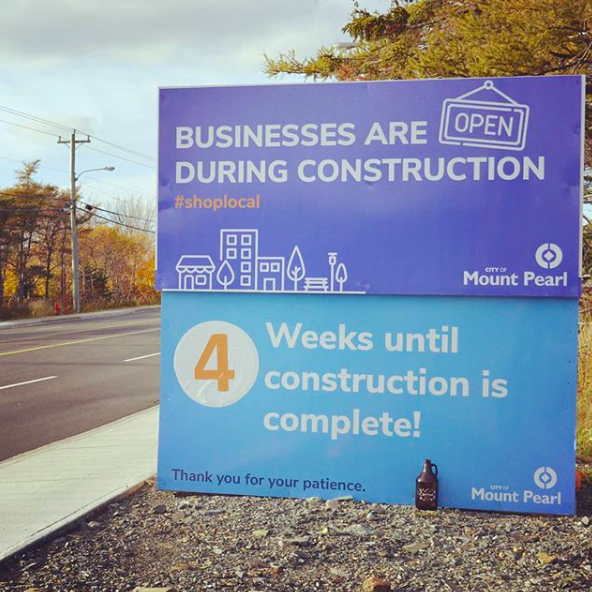 Not only is the construction on Commonwealth Avenue by the @cityofmountpearl almost done, but, as luck would have it, our brewery construction is wrapping up around the same time. Hopefully the next time @SeanPantingwrites a song for @sjmorningshow#PantingUnderPressure about Commonwealth it's about how nice it is to drive down the finished avenue to grab a growler (or cans!) or how smooth the cab ride is from our taproom after a night of enjoying some beers. Keep an eye on the construction sign: when its countdown ends, ours will be close behind... baring any delays, of course!